Nothing is the best something. If you Google “Nothing” you’ll get something: deals for “nothing”, blogs about “nothing”. Google Image gets you photos about the word “nothing” and there is even a town in Arizona called “Nothing”. Perhaps it was founded by the Noth family? Nothing is where all things come from really, including ideas and useful inventions, such as the telephone. In the 1870’s commerce and people spread across America’s new territories. Mass communication was needed but the current Morse code system was limited to sending only one message at a time. Alexander Graham Bell figured out that many messages could travel simultaneously along the same wire if the signals differed in pitch. Using the same network of wires already in place for the telegraph his “harmonic telegraph” incorporated a technique that benefits society to this day. Now you could argue that there was a rough system in place that Bell simply made improvements on, but that is not the case. The only common denominator is that both systems are wired based. The telegraph uses Morse code mono tones of dots and dashes; the human voice is more musical in nature and has a wider range of characteristics than code. Bell had to create something from nothing. 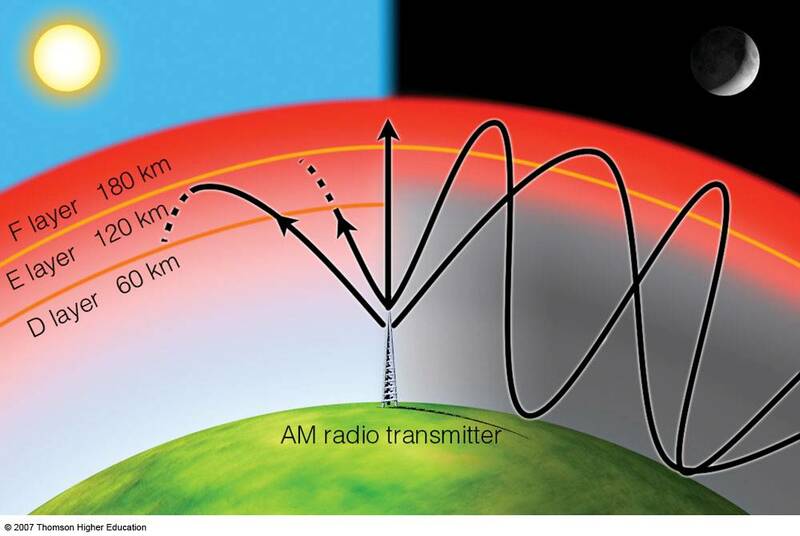 AM radio waves crossing the surface of the planet. In Seattle, if conditions are right, you can pick up AM stations from the other side of the Pacific Ocean. When you were a kid, did you ever sit in front of your old radio tuner trying to find a new station or a familiar song? In the 70’s the AM channels always had the weirdest stuff on them during the night. I would sit crossed legged in front of the massive radio, slowly rotating the large dial, making my way down the frequencies marked on the plate looking for something… anything. In between the stations was dead air, nothing but static. If the weather was right radio waves would bounce over from foreign countries and far away cities. Imagine my joy when I first discovered the Dr Demento Show! Out of the snowy static of nothingness, rising up from the dust of the indistinguishable comes Dr Demento! Dr Demento’s show was on the air nation wide for 40 years! Barret Eugene “Barry” Hansen, aka: Dr Demento hosted a radio program that was two hours of pure goofiness. His show aired from 1974-2011. For a kid this program was pure gold! Demento, a National Radio Hall Of Fame recipient, put together creative people, energy, and ideas on his radio program for 40 years. Congratulations Dr Demento! Ideas are like that- a station hidden in the static, and all we need to do is sit, wait and get tuned in.